The Yerbas Buenas “YB” magnetite project is located in Region IV of Chile on the coast about 500km north of the capital Santiago. 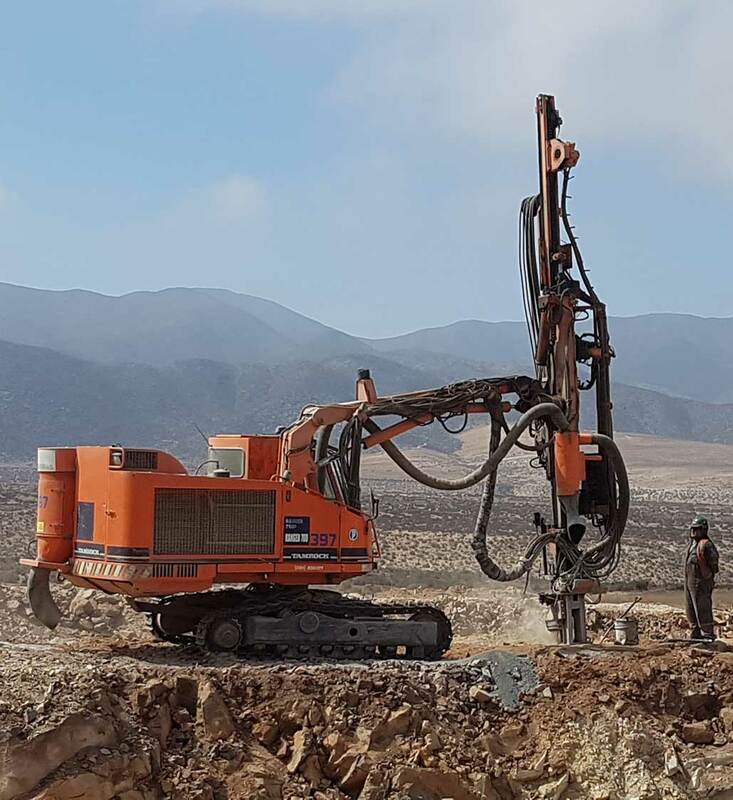 The mine is approximately 50kms north of the large cities of Coquimbo and La Serena and only 2kms west of the PanAmerican Highway. The highway is a modern 4 lane sealed road extending from La Serena northwards past the mine. Greater La Serena has a population of 400,000 and a modern airport with several flights daily to and from Santiago. Flying time to Santiago is only 50 minutes. 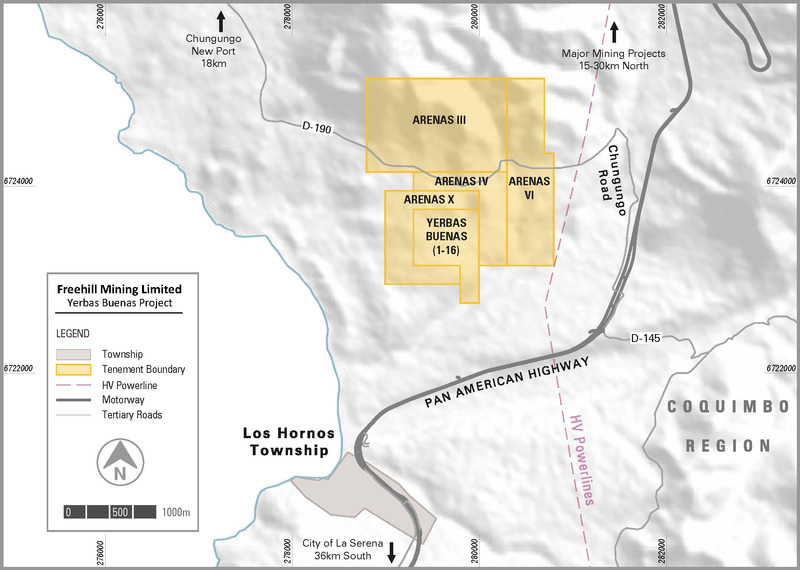 Mining of the open pit is currently being treated as a trial mining operation until the pit can be fully drilled and a JORC Resource Estimate determined. The area where the pit is being developed has had two reverse circulation drill holes completed by CAP in 2011 which showed magnetite mineralisation down to at least 150m below collar. 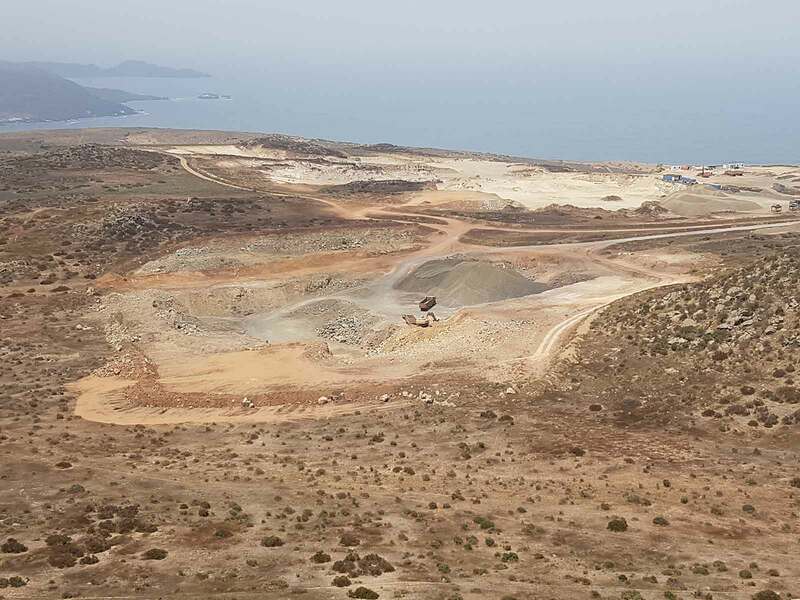 The pit has currently been developed to -15m by conventional drill and blast methods with more than 80-90% of excavated material trucked directly to the crushing and processing plant. Run-of-Mine material is treated through a relatively conventional three stage crushing and screening plant using jaw crushers, cone crushers inclined vibrating screens. Fine crushed material ranging from -4mm to -10mm is then processed through drum magnets to produce a magnetite ( iron ore) concentrate of 50-60% Fe. All processing is done dry and the plant is considered a demonstration plant whilst still under development and expansion. 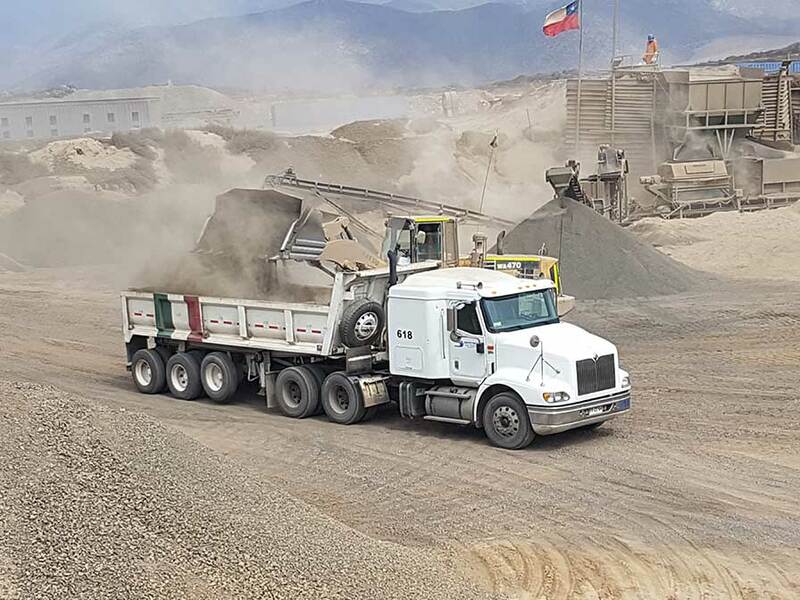 Concentrates are delivered by truck 35kms south for sale to one of Chile’s largest pellet feed plants under a formal sales agreement with Compania Minera Del Pacifico SA. Iron ore concentrates being loaded for delivery to Romeral Pellet Feed plant.